2 Users of the same, which includes the Internet through a laptop or netbook, there is a logical question: “what to do, if there is no mouse”? Many Internet users today like to sit in the various social networks or simply climb over all sites. After all, wandering on Internet open spaces so informative and tempting. Unfortunately, that's all the skills in the use of Internet resources, many end. And when there's some problem with the content of the Internet pages or with their scaling (for example a child has accidentally pressed the pen on the keyboard in an unknown location to you), users get lost. Not knowing what to help themselves, some are beginning to poke at all the buttons Computer Accessories, fairly than exacerbate the situation. Or use the services sometimes selfish computer wizards, that will take money from you for a pushover, with whom you yourself are able to cope. For example, many users still do not know, how to increase page “Classmates”. After all, some of us do not have one hundred percent vision, but to read or see anything on the page, it is imperative. In this case, everyone can help themselves, knowing certain keys on the keyboard and their ability and destination. What, We begin to learn the keyboard. And trust, its possibilities are immense. For example, in the lower left corner of the keyboard there is a key called “Ctrl”. This magical key can work wonders with your computer. Here it is – it will become your first assistant in the zoom page. doing so, you will see, how to increase page Odnoklassniki. If you for some reason need to reduce the size of the page, it is necessary to produce the same effect with pressing “Ctrl”, Only in this case the mouse wheel back twist. Thus the need to act until, until the page will take you to the desired scale. Users of the same, which includes the Internet through a laptop or netbook, there is a logical question: “what to do, if there is no mouse”? In this case, just use the key “Ctrl”. Only instead of the mouse using the keys on the keyboard with the values of “plus” and “minus”. So, to increase the page without the mouse finger of the left hand hold down the “Ctrl”key, a finger of the right hand press on the “plus” key until, until the paper size you are not satisfied. 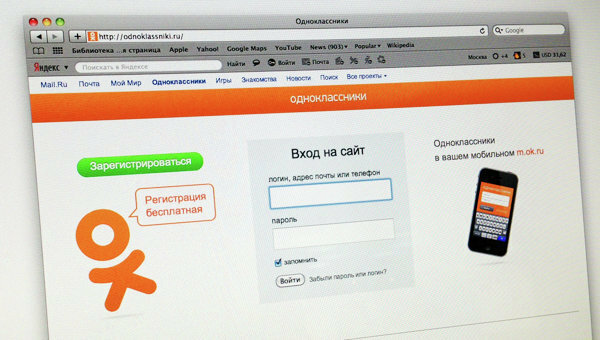 In the case of a decrease in all the actions of the page in Odnoklassniki repeat, only instead of the keys “plus”, press the “minus”. Page decreases. But users, in possession of a touch screen gadgets, must know, that increase or decrease the page on their devaysakh they can with the help of the fingers. Simply make a scrambling or rake finger gesture on the screen of the gadget. Now you have become more experienced Internet user, acquainted with new features keyboard. And remember, that such actions can be used to scale the pages not only in social networks, but in any other Internet resources. Good luck and expand the boundaries of your knowledge.